My boys still think I’m pretty awesome and prefer being with me to pretty much anything else (they do adore their grandpa and he is their most fun person to hang out with), but they really like me a whole bunch and I still have the power to make their worlds “right” as well. I enjoy their company and their wild, funny, enthusiastic, creative, complicated personalities and I feel like they are the treasures of my heart. I also feel like my love for them is deeper in a way (or more developed, maybe?) than it was when they were babies, because we are so invested in each other. I know them so well and we’ve had so much life together, I can’t imagine not having them. I can still remember not having Alaina and I can remember how I thought I may never get to have another baby ever again and I’m really enjoying this very uncomplicated, unconditional, sweet, sacred love of and for a little baby again. I am currently reading and very much enjoying a book called She Changes: Re-imagining the Divine in the World and the author critiques the foundations of modern philosophy as being based on independence from others as the goal/highest state as well as critiquing spiritual traditions that see attachment as a flaw and a state to be transcended (the book is based on process philosophy instead). She describes an anecdote how a fellow student wrote a paper making a case for “the existence of other minds” and no one else in her class other than her seemed to find it bizarre. She discusses Descartes and his “I think, therefore I am” conclusion as inherently flawed saying that before Descartes could articulate this thought, “he reached out his hand for his mother.” It is relationship, not thought that forms our basis for life and our experience of reality. I’m getting ready to start teaching in-seat again at the end of this week. I’m getting nervous about it, because we’re not really ready for separation yet, even for short times. The class is 5 hours and since I’m the teacher, I can give breaks when I need to. My husband is going to stay in town with all the kids—I know this sounds slightly crazy, but I have to know she can get to me if she needs me AND we also always have a Wal-Mart list, so he’s going to do that each week (the boys love to go to WM with him, because he has a tendency to say yes to new toys, candy, and weird food for dinner). The class only lasts 8 weeks and one week is a midterm and one a final, which usually means dismissal a bit early those nights. I guess it is a little strange to be worried about it, because many mothers go back to work when their babies are 6 weeks old and for 40 hours at a time. I’m getting all concerned about only working 5 hours once a week! (with a baby lurking in the parking lot with my husband!) But, still, it is on my mind…a LOT. I’m going to remain on leave from teaching birth classes and I’m also strongly considering not resuming breastfeeding support group meetings—just stick with phone/email help and no in-person group for a while. I do have another project brewing, but I’m not going to write about it until I know if it is going to work out or not! 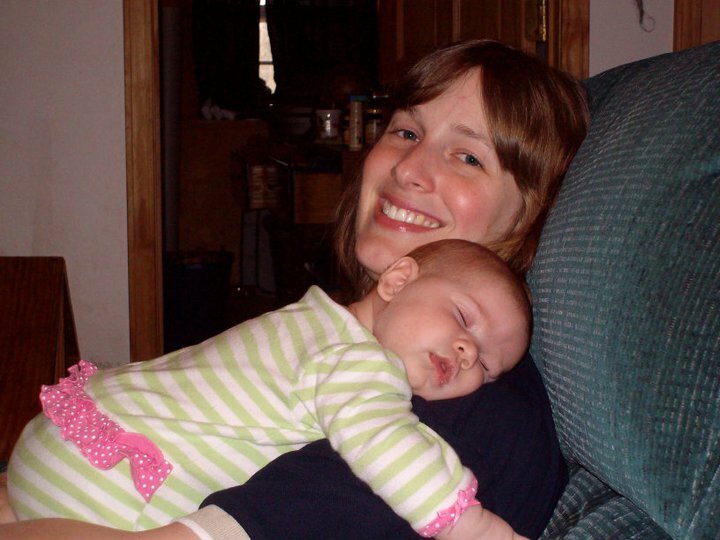 I so love that newborn – early baby stage, where i am the everything. I was the same with my 3rd, much calmer and TREASURED the days. I still do and he is 5. Just knowing he was probably my last made it so much easier and more special. Good luck going back to work! Love this! I just wish all mother’s, no ALL humans, would understand this. It’s not a crib, car seat, swing or even a house that is our babies habitats (love your phrase maternal nest with the gorgeous picture) but it is us that they crave, need and search. I love watching Everett search for me. They do the eye search at such a young age too, don’t they!? Ricky points it out and observes it all the time. I was pained yesterday on the way home when he cried for the last 10 min of the ride. I reached back and he gripped my finger in sorrow and I kept feeling sooo bad and like he was searching for me! It seems like going some place is easy, going home is not for him. Driving home from the retreat I had to stop twice to nurse/clam him. Just one more baby …is a slippery slope LOL 😉 Just look at me. Seriously though my dad says lots of people wish they would have had one more child, no one wishes they wouldn’t have. 😀 I love that he said that! So far, I really enjoy the age difference because I feel like Z being almost 5 really allows me to fully enjoy A as a baby, without feeling torn between needs the way I felt when L was little and Z was born. So, if I do have another one, I think I’d want another semi-big space for that reason, BUT then I also want a smaller space for the playing together reason–which is SO incredibly irreplaceable and fun (for them, and for me to watch). I don’t know! The car seat thing is so hard–I always think about how we are so quick to meet their needs at all other times and then in the car seat they are “abandoned” for no reason that they can discern. It must be so confusing for them. 😦 I feel pretty lucky so far with our car trip experiences–we haven’t gone anywhere very far away.